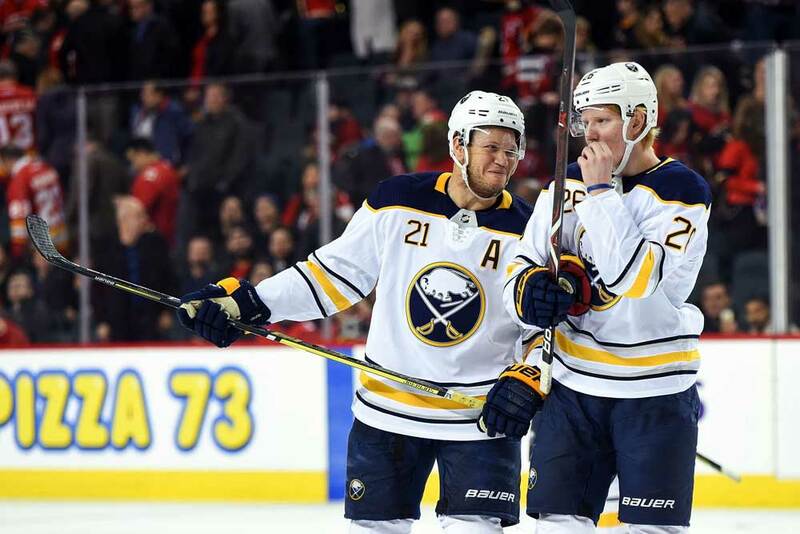 The Buffalo Sabres haven’t done themselves any favors this season by turning it into a roller coaster ride. The team looked to be a sure-thing regarding a playoff berth earlier on, but are now being forced to go toe-to-toe with several other clubs for the last Eastern Conference wild card spot. They still might pull it off, but inconsistency has been their worst enemy. On the bright side, the steady play of 18-year-old defenseman Rasmus Dahlin has been something for the team’s fans to celebrate. It’s not that they didn’t think he’d crack the lineup after being selected first overall in the 2018 NHL Draft, but they didn’t think he’d be so good so soon. Arguably, learning how to play defense in the NHL is the toughest task in hockey, but it looks like the young Swede has skipped a few grades along the way. His numbers don’t jump off of the page at five goals and 23 assists for 28 points in 51 games, but he’s on pace for eight goals and 45 points along with a plus-10 rating. While Dahlin’s achievement may not appear that impressive when you consider San Jose Sharks‘ blue liner Brent Burns already had 10 goals and 57 points after just 53 games, but let’s not forget Dahlin’s still a teenager. To put things into perspective, let’s take a look at the top rearguards in NHL history at the same age as Dahlin. Sabres’ head coach and Hall of Famer Phil Housley was the top-scoring 18-year-old defender ever with 17 goals and 40 assists for 57 points. The great Bobby Orr managed 13 goals and 25 helpers for 38 points while Jim Benning, the current GM of the Vancouver Canucks, posted seven goals and 24 assists as an 18-year-old. Doug Bodger ranks fourth with five goals and 31 assists and the only current player to make the top eight is former NHL rookie of the year Aaron Ekblad of the Florida Panthers. He notched seven goals and added 22 assists for 29 points. Dahlin ranks sixth in NHL history already which means he’s bettered Hall of Famer Ray Bourque’s totals of six goals and 20 helpers. Rick Hampton rounds out the list with eight goals and 17 assists for 25 points. With Dahlin on track for eight goals and 37 assists he would conceivably tie Hampton for third place in goals and rank second in assists behind Housley. He’d also come in second behind his head coach in total points. Of course, these numbers are all projected totals and Dahlin could either surpass or fail to reach them over the duration of the season. If he stays healthy though, the odds of him moving up the list are pretty high. In addition, he won’t celebrate his 19th birthday until April 13th, which means he’ll be an 18-year-old for the full campaign whereas some of the others turned 19 during the season. Just to make it to the NHL the same year as being drafted is quite an achievement for an 18-year-old these days, but Dahlin has done much more than that. He’s become a steadying influence on fellow blue liners such as Rasmus Ristolainen, Zach Bogosian and Jake McCabe by logging an average 20:43 of ice time per night and leading by example. Dahlin’s an exceptional skater with tremendous puck-handling skills. He also sees the ice like a veteran and at 6-feet-3-inches tall has the frame to have an impact physically. Dahlin’s strong shot from the point allows him to be an effective power-play quarterback and he’s only going to get better with experience and when he grows into his body. He portrayed all of these impressive traits as a youngster with Frolunda in Sweden and that’s why he was ranked the top player in last year’s draft. In fact, he was the first Swedish player to go first overall since Hall of Famer Mats Sundin back in 1989. Dahlin starred at a pair of World Junior Championships in 2016/17 and 2017/18 and even played in the 2018 Winter Olympics. He was the youngest Swedish player ever at the 2016/17 World Juniors at the age of 16 as well as the youngest in that year’s tournament. He helped his homeland capture the silver medal the next year, was the second-highest scoring blue liner in the event and named its top defensemen. When he suited up in the Olympics he was the youngest player in the tournament and youngest overall since 1984. As we can see, Dahlin isn’t just some overnight sensation or flash in the pan. He’s been an elite player all along. His strong play resulted in being named NHL rookie of the month in November and he’s been progressing just fine. He should be one of the three finalists for the Calder Trophy at the end of the season, probably alongside fellow defender Miro Heiskanen of the Dallas Stars and fellow countryman Elias Pettersson of the Vancouver Canucks. And being named to the NHL’s All-Rookie Team should be a formality for the trio. When the Professional Hockey Writers Association named their mid-season NHL award picks at the All-Star break, Dahlin came in second behind Pettersson as rookie of the year and was leading all first-year D-men in scoring. As for fitting into his new surroundings off the ice, Dahlin has been getting help and advice from his 20-year-old Sabres’ teammate Casey Mittelstadt. Dahlin learned how to cook and clean while playing away from home in Sweden, but is still trying to master the English language. Those nerves definitely haven’t been exposed on the ice as Dahlin’s confidence is growing game by game. He may not win the Calder for his efforts this year, but there’s a good chance he makes up for it down the road with a Norris Trophy.